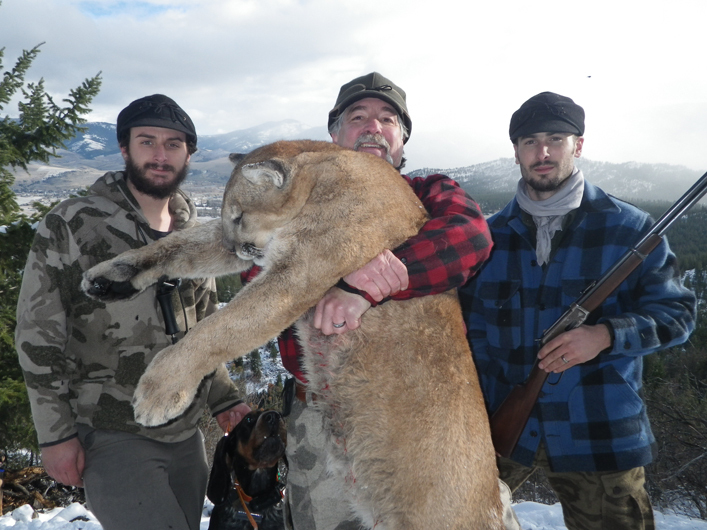 We have highly trained hounds, top-notch equipment and the best guides Montana has to offer for mountain lion hunt. The method of hunting is to cover as much country at night to ensure fresh mature Tom tracks by daylight. At daylight you will be able to hear the hounds erupt and the next time you will see them is at the base of a big pine tree with your trophy lion high above. This is the most exciting and popular hunt we have to offer.